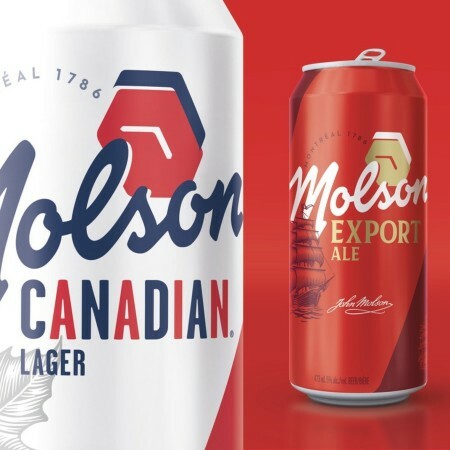 MONTREAL, QC & TORONTO, ON – Molson Coors Canada has announced the launch of a “masterbrand” that will be reflected in new branding and packaging for its core Molson line-up. Molson Canadian, Molson Export, Molson Dry, and Molson Cold Shots are all being given “new cases, cans, and bottles [that] will pay tribute to Molson’s proudly Canadian roots and history, but in a forward-facing and timeless aesthetic.” The new designs have been developed by BrandOpus with input from the Molson family. For more details on the new Molson branding and the History Is In Your Hands campaign, see the new Molson.ca website.